Deloitte Consulting’s Human Capital practice is a leading global advisor and implementation partner working with companies, governments, and organizations around the world. Our goal is to improve our clients’ organizational results and impact by focusing on challenges at the intersection of business and people. 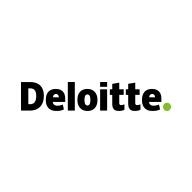 As a Deloitte Consulting Health Actuary Senior Consultant in the Insurance practice of Deloitte’s Human Capital group, you will assist Deloitte Managers, Senior Managers and Partners in providing strategic and technical consulting services to health plans, providers, Federal and State governments, PBMs, etc. At Deloitte, you can be a part of the transformation of the health care sector. Deloitte’s health actuaries are participating in the development of evidence based medicine, and the transition of payments from paying for what is done to paying for the value provided. Deloitte health actuaries are involved in designing new programs that are smarter about how public funds are spent. These types of problems require actuaries who are not only technically strong, but also can be innovative, capable of addressing ill defined, complex problems and have a business orientation. o Familiarity with group insurance products including disability, long term care, etc.